WBJEE 2019 Hall Ticket Release Date : WBJEE admit card 2019 will be released before few days from exam and it is scheduled be available on official website from April 10th 2019. According to WBJEE 2019 information bulletin, publication of downloadable admit card shall take place at wbjeeb.nic.in on April 10, 2019. Those candidates who have successfully submitted the WBJEE 2019 application form within the prescribed time period will be able to download their admit card. The West Bengal Joint Entrance Examination Board will release the WBJEE admit card 2019 in April 2019 through online mode. It will be a common entrance test for offering admission to Engineering and Pharmacy courses. WBJEE is a state level entrance exam through which candidates can take admission to various institutions of West Bengal. As per WBJEE Information Bulletin, WBJEE admit card 2019 release date is April 10, 2019. Once admit cards are released, candidates can download them through www.wbjeeb.nic.in. On the notified date, admit cards will be made available for the students so that they can download and take a print out. Printing admit card is necessary because without printed hard copy of the admit card, no candidate shall be allowed to seat for the test. In case, if any candidate losses his / her printed admit card then he / she should has to generate duplicate admit card. The link to generate duplicate admit cards will be active till the date of examination. Candidate’s personal information such as full name, gender, category, domicile etc. Candidate’s WBJEE 2019 application number, roll no. etc. How To Report Discrepancy In WBJEE 2019 Admit Card? It is candidate’s responsibility to check for discrepancy in his / her admit card. If any discrepancy is found then candidate must report the problem to the official authority of WBJEE in order to get the problem fixed. Do not carry any printed or written material, log table, calculator, pen, wristwatch, mobile phones etc. Should bring their own stationery like eraser, pen, pencil, sharpener etc. 1. I’m Unable To Download My WBJEE Admit Card 2019 Through The Website. What Should I Do Now? A. It is possible due to network or server error. You must try again after few hours. 2. 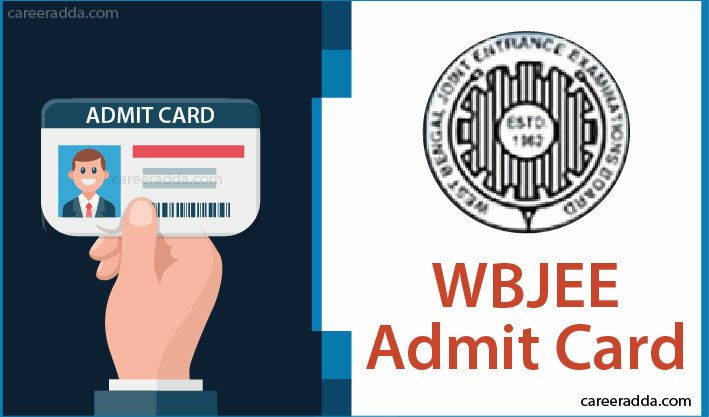 When and How To Download WBJEE Admit Card 2019? A. WBJEE admit card 2019 shall be available to download from April 10, 2019. To download admit card, candidates are required to enter their application number and the password. 3. Is There Any Facility To Generate Duplicate Admit Card? A. Yes, candidates can regenerate their admit cards till the day of the exam. The process shall be the same as mentioned above. 4. What Are Documents To Carry With WBJEE Hall Ticket 2019? A. Candidates are required to bring their photo identity card in original and photograph along with the hard copy of WBJEE admit card 2019.